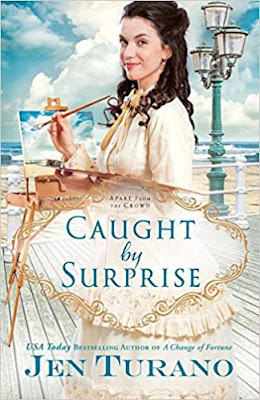 Caught by Surprise is book three from Apart From the Crowd series. I believe this one is my favorite of the series. Temperance and Gilbert were great together. The book made me laugh so hard at times. What a delightful story. I give Caught by Surprise a well deserved five plus stars. I can not wait to find out where else Jen Turano's imagination takes her readers to next. I highly recommend Caught by Surprise.